The general common law definition of trespassing is entering the property of another without consent or legal authority. This is the definition used in civil trespass court cases filed by property owners. 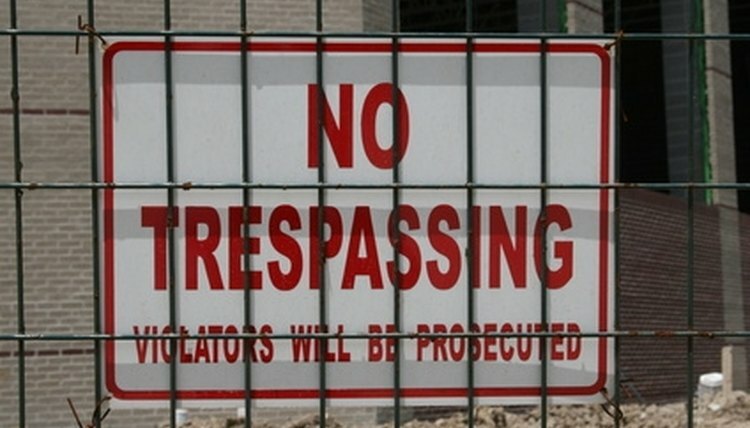 In Maryland, criminal trespassing is defined in Section 6-401 of the Code. Section 6-402(a) prohibits trespassing on land of another where a sign has been posted at the entrance of a property. Sections 6-404 and 6-405 prohibit entering property with a vehicle without permission. These sections prohibit the use of off-road vehicles on public or private property without the property owner's consent. Violation of the trespass law is a misdemeanor. Code Section 6-402(b)(1) provides that first-time violators can be sentenced to jail for up to 90 days and/or fined up to $500, as of 2010. Subsection (2) provides that second-time violators can be jailed for up to six months and/or fined up to $1,000 when the violation occurs within two years after the first offense. Jewell, Roger. "What Are the Trespassing Laws of Maryland?" , https://legalbeagle.com/7490860-trespassing-laws-maryland.html. Accessed 21 April 2019.